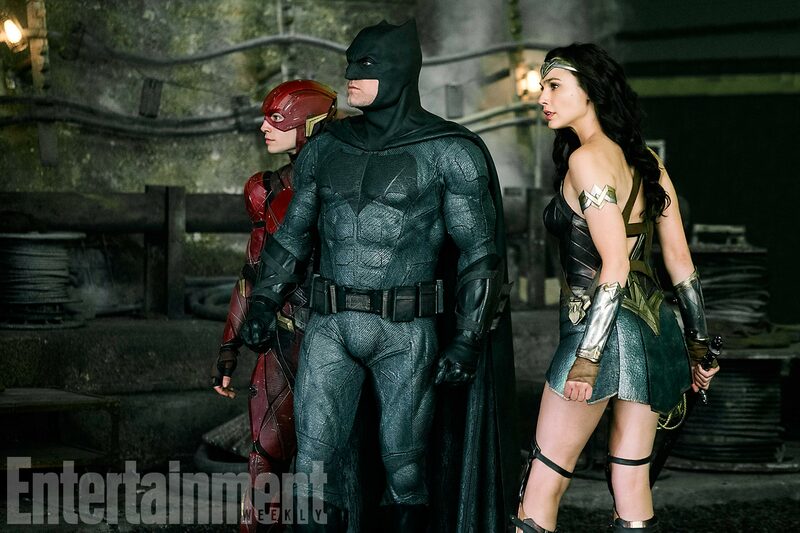 Entertainment Weekly’s SDCC blowout continues apace, and this time around, the outlet has directed the spotlight toward Justice League to unveil a new photo of the Scarlet Speedster rubbing shoulders with Diana Prince and the Caped Crusader – Gal Gadot and Ben Affleck, respectively. This isn’t the first time EW has united three of the six – Aquaman, Cyborg and the Man of Steel being the other trio – so there’s every chance today’s image is lifted from the same scene. You’ve seen it, haven’t you? 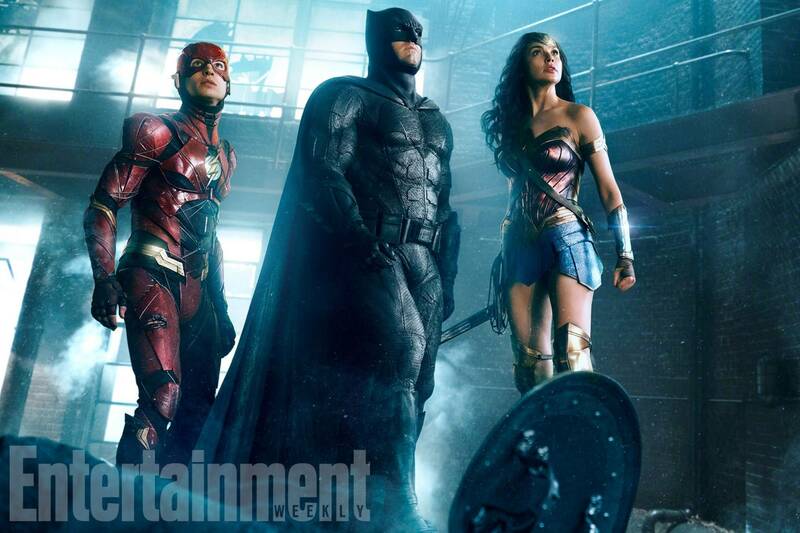 The one in which The Flash, Batman, and DC’s Immortal Warrior are looking up toward an unseen threat in a room pierced by a blinding blue (supernatural?) light? If not, here’s a refresher. As part of today’s reveal, Ezra Miller was also on-hand to offer up some new clues on his Barry Allen, including how he related to the Scarlet Speedster from the word go. Miller stated: “He’s this really endearing, altruistic nerd. He’s the 13-year-old Metallica fan, and Metallica says, ‘We lost our drummer in a freak accident. We need you to play drums, bro!’ I don’t even have drumsticks!” Sticking with that analogy, does that mean Bats is on bass and Diana will take point as lead singer? We can only hope. Joking aside, Justice League unites DC’s finest to safeguard Earth from a cosmic threat. If you persevered through Batman V Superman: Dawn of Justice, you’ll know that threat to be Steppenwolf, one of the New Gods of the DC Universe who has ties to the all-powerful Darkseid. Ciaran Hinds has been tasked with bringing that mega-villain to life, even if his performance on the JL lot was restricted to motion capture. Nipping at the gold-plated heels of Wonder Woman, which is now the highest-grossing DCEU movie in North America, Justice League has been penciled in for release on November 17th.